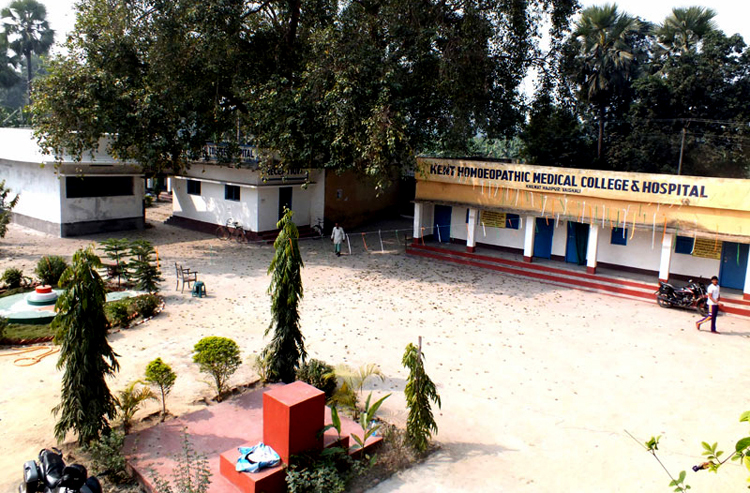 Kent Homoeopathic Medical College and Hospital is among the prominent colleges of its field located at Hajipur, Bihar. The mission of Kent Homoeopathic Medical College & Hospital is to provide quality education to its students who become the physicians of future. Kent Homoeopathic Medical College and Hospital has a good ambiance provided by the institute facilitates and quality learning. The college mission is to develop well qualified, globally accepted, world class technically sound professionals, capable of updating with cutting edge technologies, innovative research ideas with social commitments and highest ethical values as inner strength, for the upliftment of man kind, trained through high profiled experienced faculty, career oriented courses and interactive teaching-learning process. The college is recognized by Central Council of Homoeopathy, New Delhi, Ministry of AYUSH, Govt. of India, New Delhi, State Govt. of Bihar. It is affiliated to B.R.A. Bihar University Muzaffarpur. It provides the degree course, BHMS of 5 ½ years duration. The college has a sanctioned intake capacity of 50 students per year. Dr. Jeetendra Kumar a leading academician serves as the principal of the college since 2002.